Ken is one of the world’s most accomplished and celebrated sailors. He won the US Rolex Yachtsman of the Year award twice and has won nine World Championships. He joined North Sails in 1996 when the company acquired the sailmaking business he’d started with Dan Neri. At the time, the lure of 3DL was strong for anyone concentrating on the performance side of the sport. 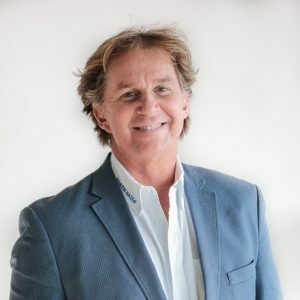 In twenty-plus years at North, Ken has mainly been on the selling side of the company while mixing in four sabbaticals; helming two of Dennis Conner’s America’s Cup programs and two PUMA Ocean Racing’s Volvo Ocean Race campaigns. In 2013, Ken returned to his business and sailmaking roots as President of North Sails Group. He is still sailing actively, most recently as skipper of the record breaker Comanche. Ken has also become an ambassador for the sport of sailing and serves as an NBC Sports color commentator for the America’s Cup.